The Eurasian Economic Union (EEU), widely seen as a Russian-led answer to the European Union (EU), just welcomed its fourth member country. Armenia, a small former Soviet republic in the Caucasus region of Western Asia, joined Russia, Belarus, and Kazakhstan in the trade bloc after signing the organization's founding treaty last Friday, October 10. However, the EEU, which will unite the four member countries' economies into a single cooperatively-managed entity, doesn't officially go into effect until New Year's Day (January 1, 2015). What is the "Eurasian Union"? Though sometimes called just the "Eurasian Union", the EEU is for now strictly economic in nature. 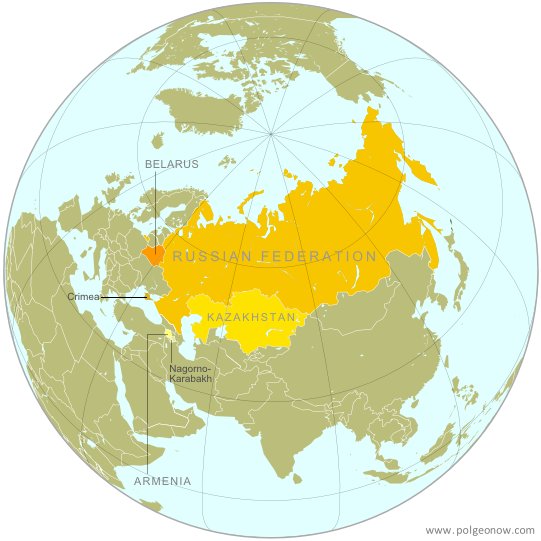 Russia has shown interest in eventually expanding it into a political union to match the EU - however, that path is unpopular with fellow founding member Kazakhstan, which sees political union as a threat to the independence it gained after the breakup of the Soviet Union in 1991. The economic union hopes to increase trade and lower prices by establishing a "Single Economic Space," where goods, services, money, and people can all move freely from country to country without the obstruction of borders or import taxes. Industrial development, agriculture, and transportation will also be managed cooperatively, and people from one country will be able to live and work in any of the other countries without a visa. Though the EEU has not yet gone into effect, Russia, Belarus, and Kazakhstan are already united in an organization called "the Customs Union". This union partially combines the countries' economies by replacing customs checks along their mutual borders with a unified customs policy for all imports coming into the three-country bloc. Armenia is apparently still not a member of the Customs Union, though the issue will presumably become moot on January 1, when the Customs Union is replaced with the new EEU. The EEU is not the same thing as the Eurasian Economic Community (EURASEC), an earlier attempt at economic integration among former Soviet countries. EURASEC includes more countries than the EEU, but its members' economies are not closely unified. The EEU in many ways grew out of the broader organization, and the member countries have agreed to dissolve EURASEC once the EEU comes into force on January 1, 2015. Armenia had originally sought to join the Customs Union this past spring, in advance of the EEU treaty coming into effect. However, its membership has been repeatedly delayed. 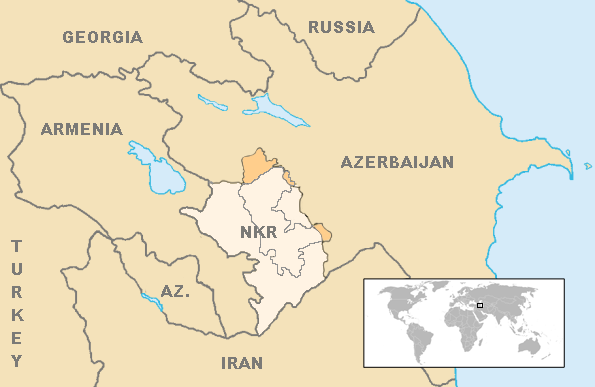 Many suspect this was because of disagreements with the current Customs Union member countries over the Nagorno-Karabakh Republic, an Armenian-backed breakaway state that the rest of the world considers to be part of the neighboring ex-Soviet country of Azerbaijan. Even Armenia doesn't officially recognize Nagorno-Karabakh, which declared independence in 1991, but makes no secret of being the breakaway state's main supporter. Because Armenia doesn't maintain any border checks along its boundary with Nagorno-Karabakh, questions have been raised about whether the disputed territory will become an unofficial part of the EEU along with Armenia. With the other EEU members insisting Nagorno-Karabakh can't be part of the union, and Armenia insisting it won't set up border checks, it's unclear how this issue will be resolved. Meanwhile, another disputed territory will almost certainly be treated as part of the EEU, and officially at that. Crimea, recognized by the rest of the world as part of Ukraine, came under Russian control after a hostile takeover earlier this year. Since Russia, the most powerful member of the new EEU, considers Crimea a legitimate part of its territory, it seems unlikely the region will be excluded in any way from the new economic union. Graphic of the Armenian flag is in the public domain (source).